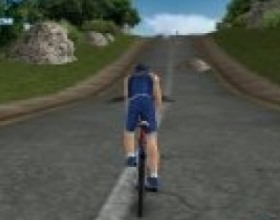 This game will take place in three disciplines: Swimming, Cycling and Running. You have to beat your opponents and be the best in this Triathlon Championship. Use Arrows Left and Right to move. Press Z to drive or jump. X to swim or run. Your goal is to race together with other famous characters, complete different tasks and win the championship. By completing goals you'll unlock new tracks and characters. Earn money and use it on upgrades. 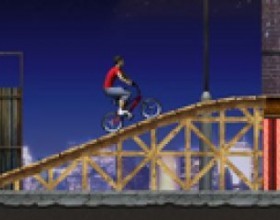 By performing stunts you'll fill stunt meter and get powerful boost. Use Arrows to control your bike and Space to jump. 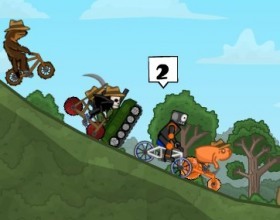 Your task is to ride your bike through stunt races through 26 tracks using more than 20 bikes. Unlock 70 achievements. 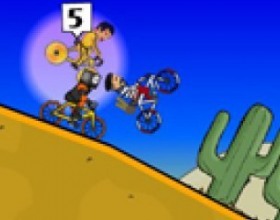 Use the W A S D or arrow keys to control the bike, use X or Space for bunny hop, B to use horn! 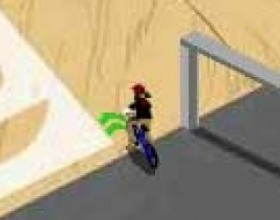 Your objective in this BMX game is to become the next Champion by performing sick tricks. As more flips and stunts you perform as more points You get. Press up arrow key to go forward and down arrow to go backward. Press left arrow to balance left and right to balance right. Press Enter to change direction. Use 1-8 number keys to perform the tricks. 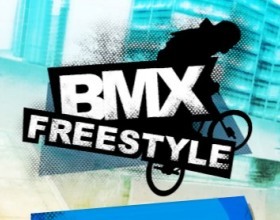 BMX around on jumps in free run mode or try a little competition. In complete game mode you have 1 minute to get as many points as you can, by doing different kind of trick. In free game mode you can play as long as you want. Use arrow keys form movement and Z X C for tricks. In this game you have to drive and show tricks by your way. Use arrow keys to turn and maneuver. Press A button to brake, F to press a pedal, D to make a tailwhip, S – to turn on a Superman regime. You have a limited time to pass a level of this exciting game. Drive through or around all obstacles and show as many tricks, as you can. Use arrow keys to ride. Use A, S, D, F keys to make tricks, press space bar to jump. 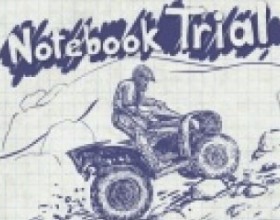 Navigate the course to try to get a high score in the allotted time. The more tricks you pill, the better your score will be. 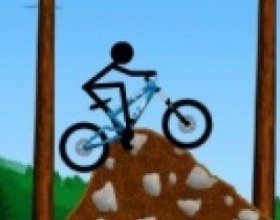 Use the arrow keys to pedal and change direction while airborne. Use the SPACEBAR to jump. Use Z and X in combination with the arrows keys to perform various tricks. Press M to toggle the music or Esc to return to the menu. Fond of sport and your favourite bike? What about setting into a long journey with different obstacles? Maybe you have not taken part in professional competitions yet, so you have not faced the challenge of excellently managing your bike, and showing an unusual fantasy and courage in demonstrating different practices in the air. 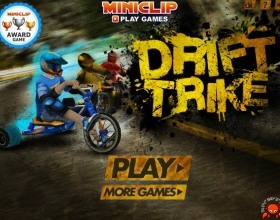 In this category you are going to find as many computer games concerning bikes as possible. Triathlon is a competition for super strong people. Not all participants will get to the finish, as they have not only to ride a bike, but also swim and run. 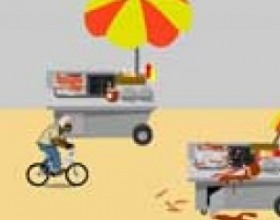 Your task in Extreme Triathlon game is to outbid other participants of the competition and become a champion. Take part in different races, choose your competitors and competitions. Decide which mean you are going to use: a motorbike, a bike or a car. So, your dream became true, and you are now a happy owner of a bike. Now take it and start practicing. 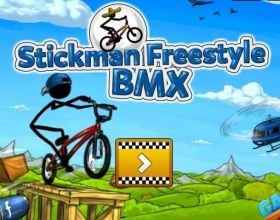 In Stickman Freeride game you have to work hard in order to proceed through all laps, as every sport demands many efforts. Earn money to improve your bike. 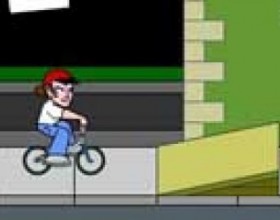 The game will be automatically saved when you will be riding through certain destinations. Don’t you believe in fairytales and happy endings? What about yourself trying to save a beautiful princess? In CycloManiacs 2 you can change your attitude towards miracles and plan the destiny of a princess by yourself. Your purpose is to ride through the mountains as fast as you can. Fifty races and thirty-nine laps are awaiting for you. You can also take part in additional mini-games. Time games demand much concentration, effort and talent. No wonder, as you are going to solve tasks as quickly as possible in the shortest way. 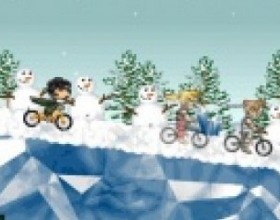 Reveal new roads in Cycle Scramble game. Your goal is to earn money and use them for improvement of your bike. A special indicator will be showing your results as well as the rating of your abilities. 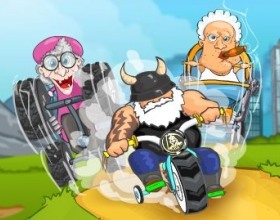 If you are fond of cycling races, we recommend you Cyclo Maniacs. 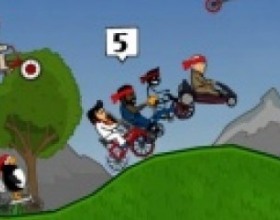 In this game you will have to ride twenty bikes. In order to unblock them you must take part in the competitions and win. 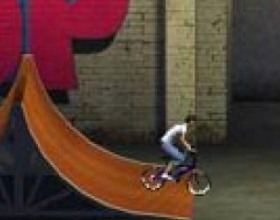 Perform excellent and complicated tricks in BMX Master and receive many bonuses. You will have to keep yourself balanced all the time. This is not a complete list of all bike games, of course. You can easily more of them find them online. Our web-page provides you with an excellent opportunity to find exactly what you want.